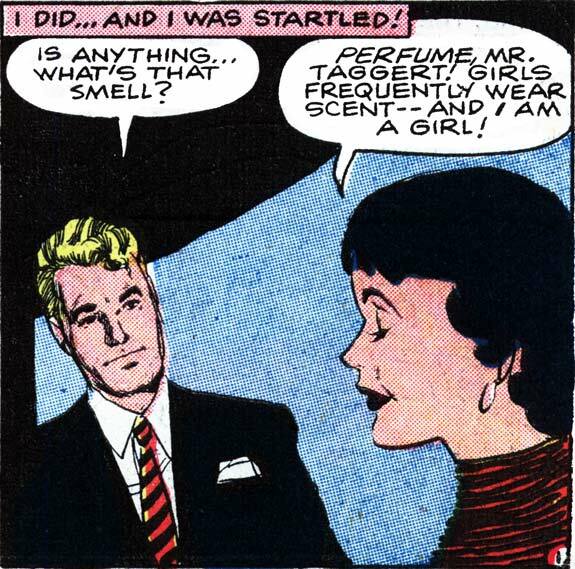 Art by The Vince Colletta Studio from the story “The Magic Perfume” in FIRST KISS #5, 1958. As always…. Wonderful! Thank God!